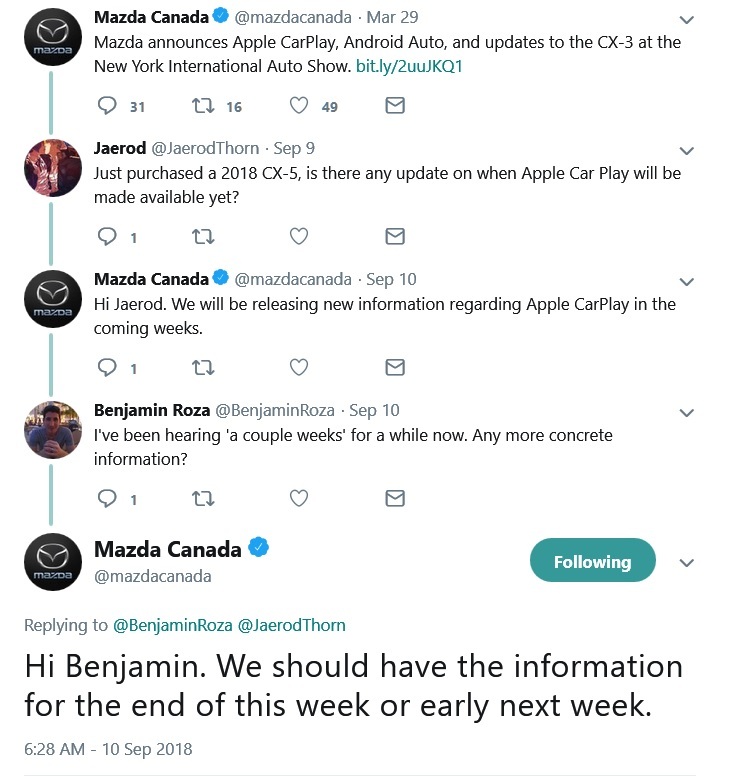 Just saw a twitter reply that Mazda Canada is releasing more info. on the Canadian CarPlay rollout end of this week or early next. 250$ +taxes for 2018 mazda 6 and 2019 mazda cx3. Seems to be confirmed on Mazda Canada's site, too...limited time for 2018 Mazda6 (and '19 CX3) owners, $250. Dealers have the kits but are just awaiting instructions from Mazda Canada on what to do. how about Mazda 6 2014 ? 2014 and 2015 don't have Connect, unfortunately.